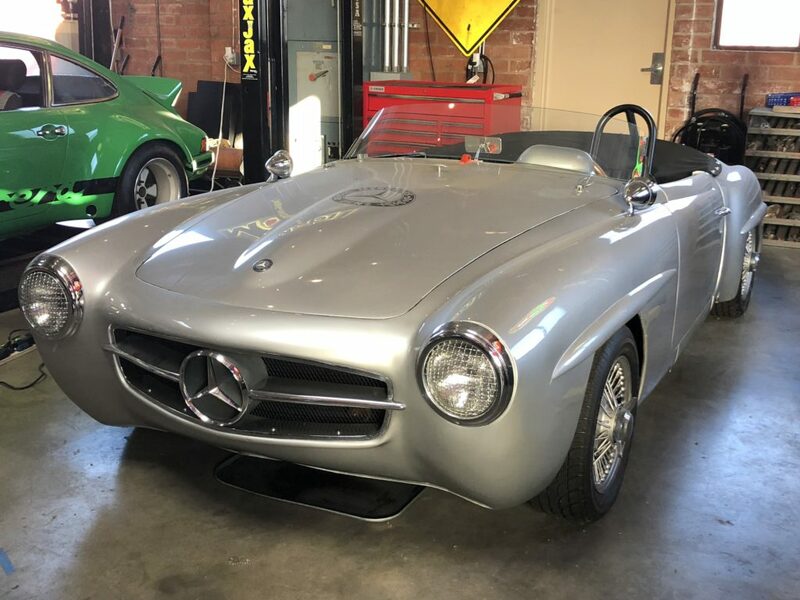 With the American sports car market booming in the early 1950s, Mercedes-Benz agent Max Hoffman needed an affordable sporting Mercedes-Benz model to distribute. 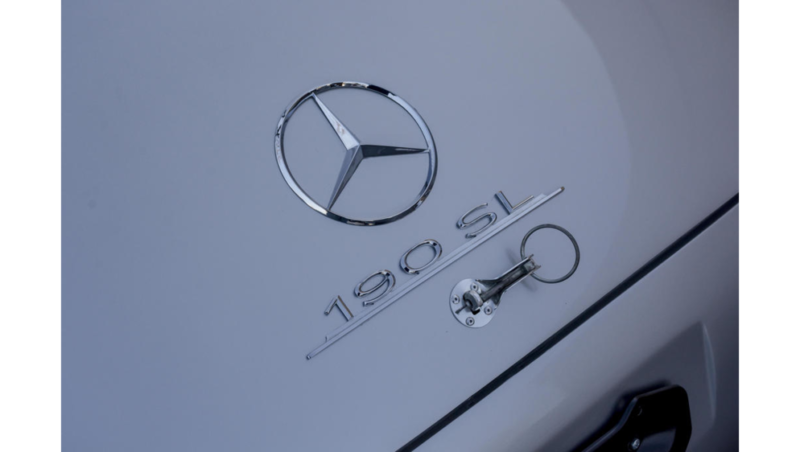 With the up-market 300SL already in production, the 190SL was conceived as a higher volume sales leader, incorporating sophisticated styling that resembled that of the 6-cylinder 300SL; in short, a sporting Mercedes that was more attainable than the super-exotic Gullwing and 300SL Roadster models. 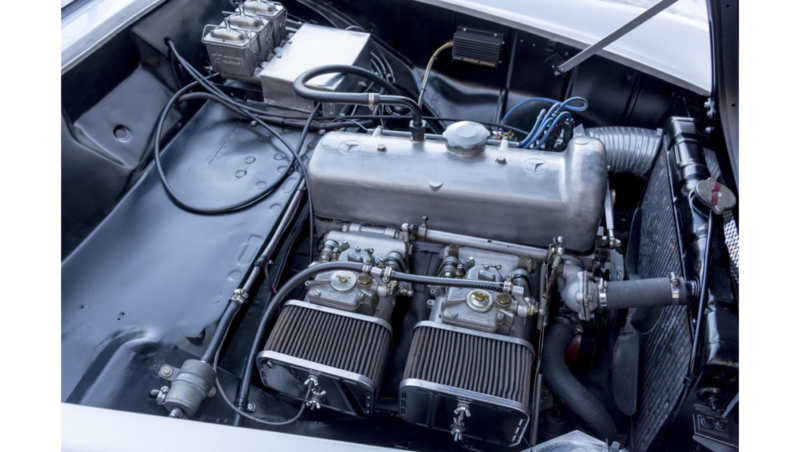 Constructed on a modern monocoque chassis platform, using coil sprung independent suspension both front and rear, the 190SL handled very well. 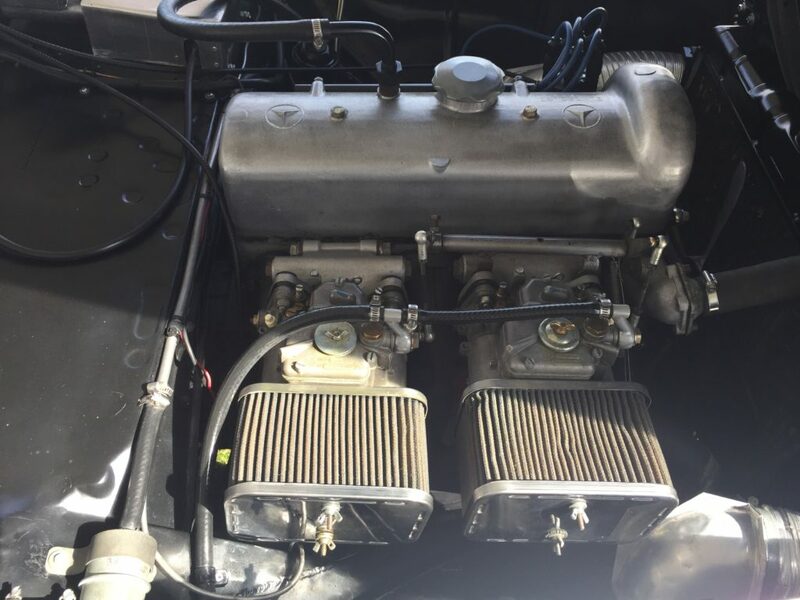 The 1.9-liter SOHC 4-cylinder engine used a light aluminum cylinder head and was mated to a fully synchronized 4-speed manual transmission. 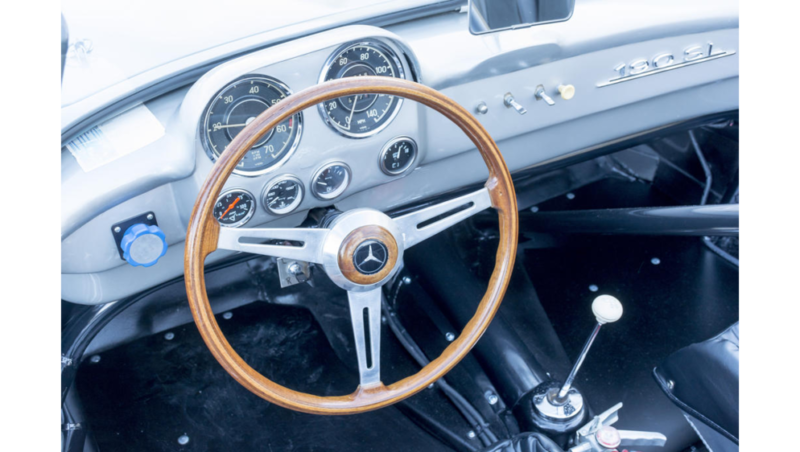 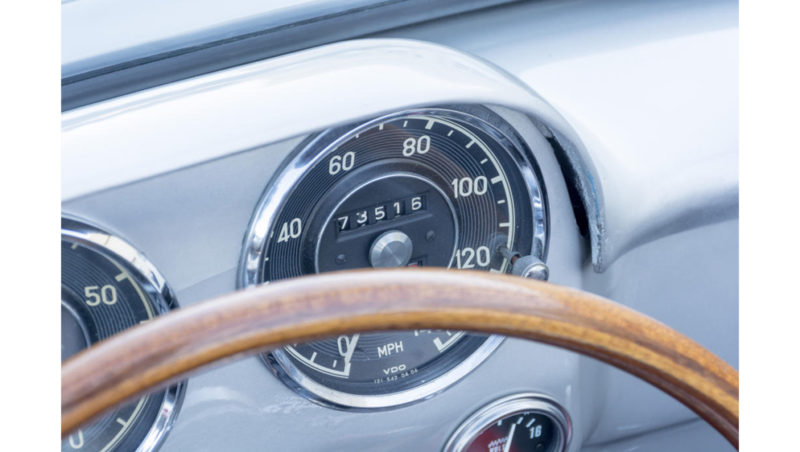 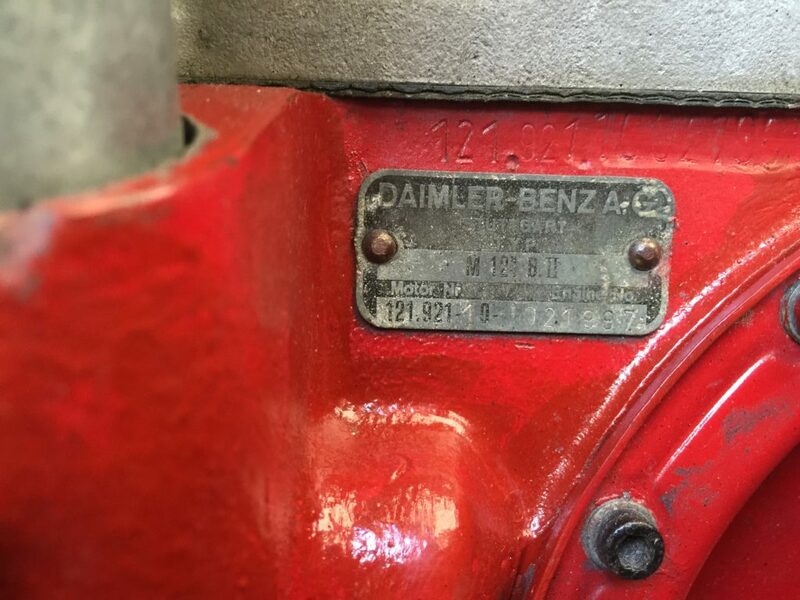 Built between 1955 and 1963, the classy Mercedes-Benz became a very popular choice for the young and hip, and was most importantly a quality automobile as was expected from Mercedes-Benz. 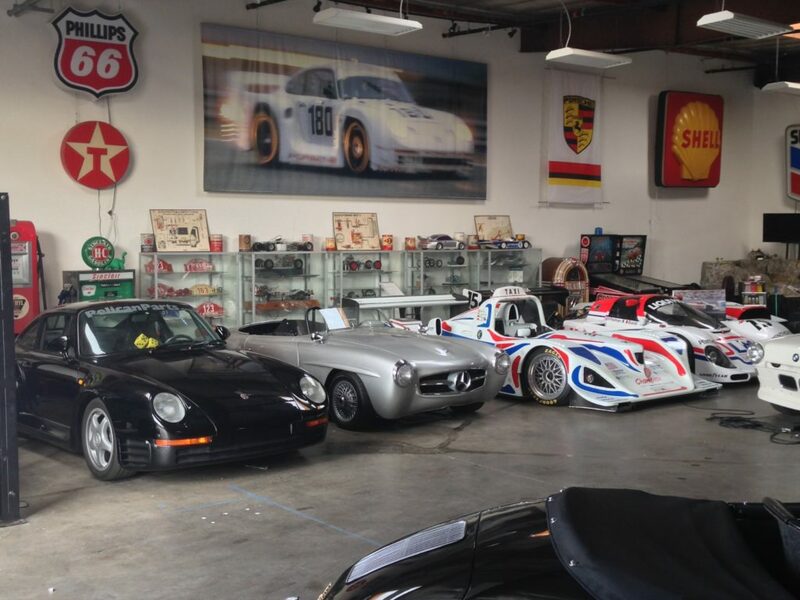 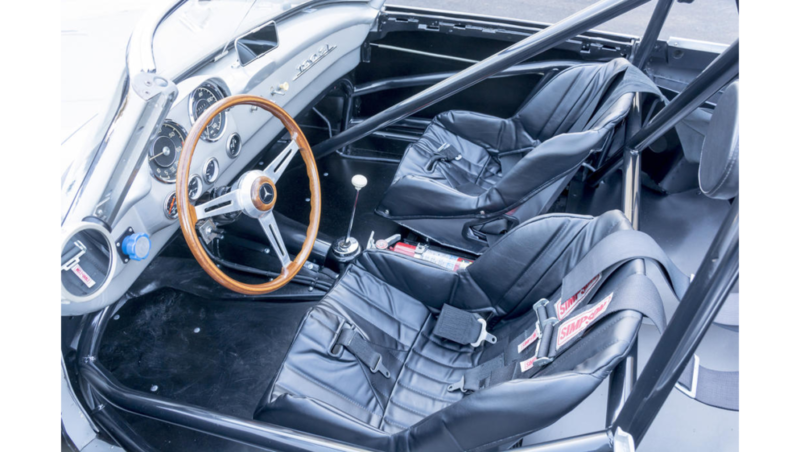 Race cars and road cars are very rarely different sides of the same coin—if a car it made to win on the track it is unlikely that it is usable on the road. 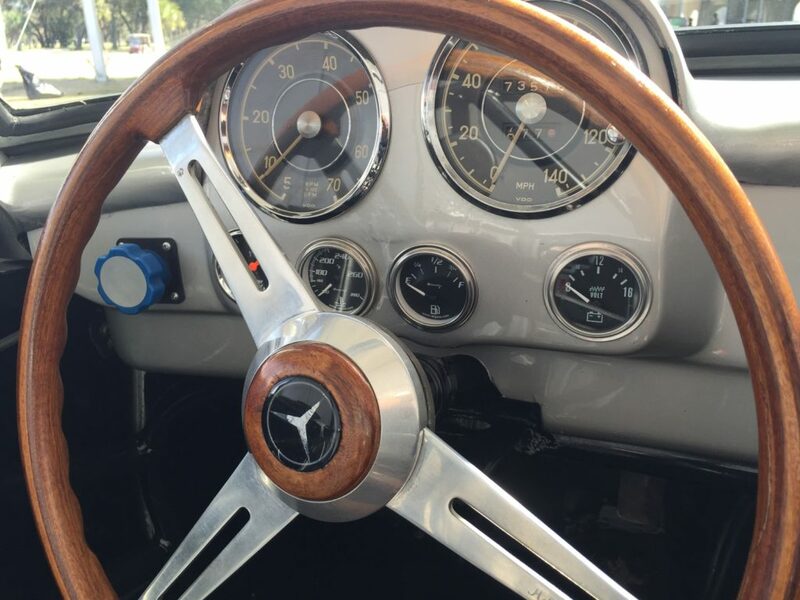 This 190SL was prepared to both with ease. 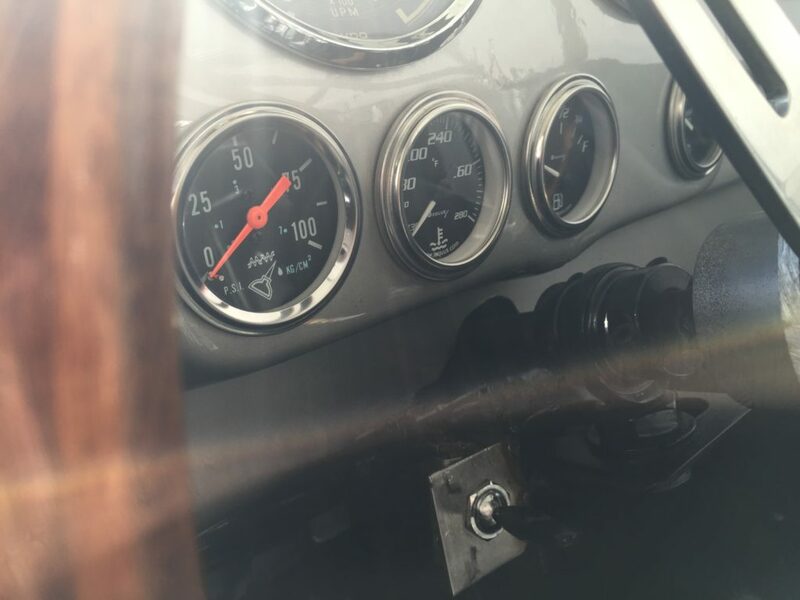 Modified for vintage SCCA and VDCA track use about a decade ago, the car was torn down to body-in-white and rebuilt over the course of over a year into the machine you see today. 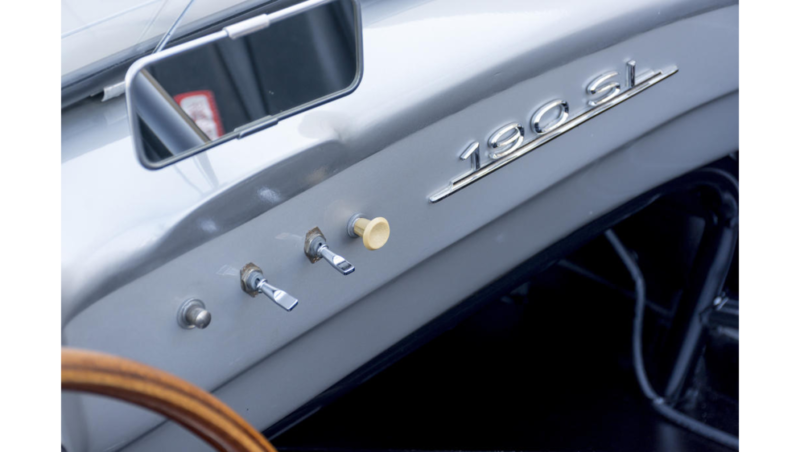 Outside, the bumpers and chrome trim was shaved off and a professionally applied Astral Silver Metallic paintjob was applied to the exterior while the interior and underside received a similarly high quality trimming in black. 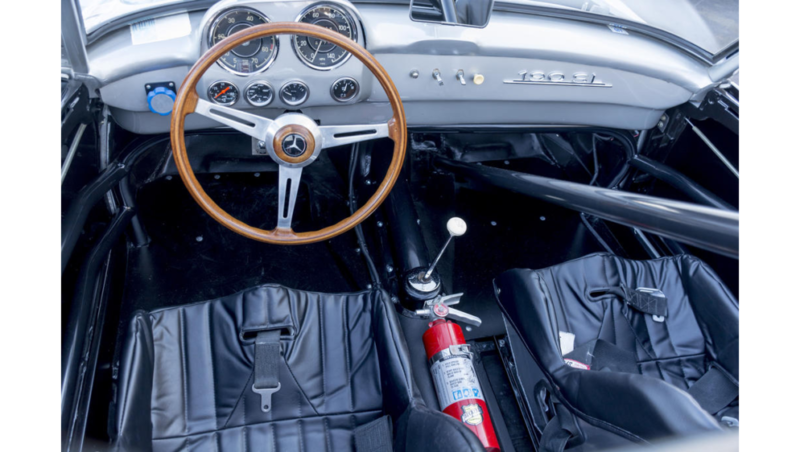 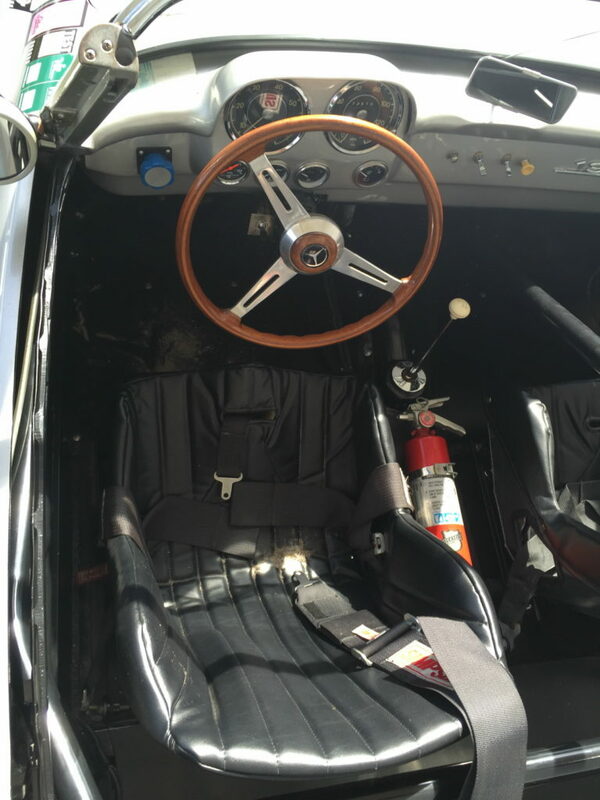 Inside the interior was stripped of all but the bare essentials, a full roll cage was installed, a set of Kirkey race seats with Simpson racing harness were fitted, and numerous other modifications required for full certification in both SCCA and VDCA events. 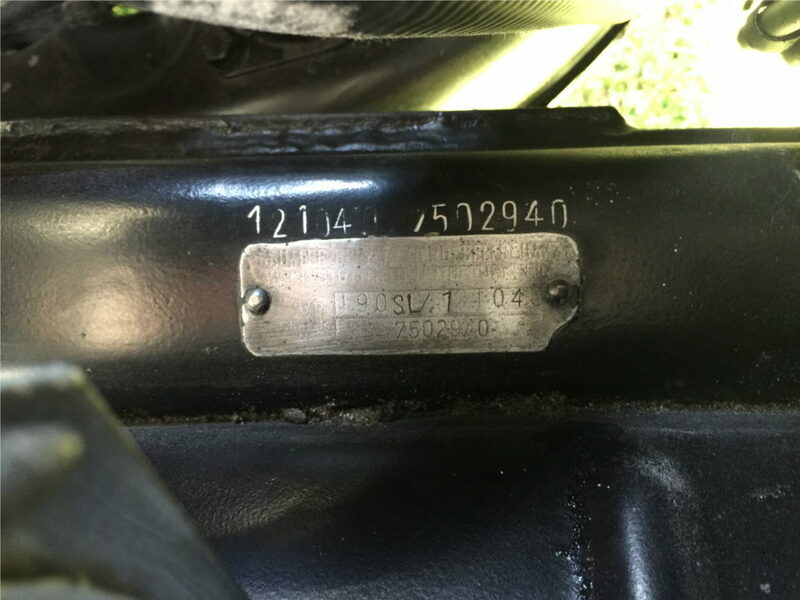 Additionally, the car has tags on its front fender indicating that it was raced with the SVRA vintage racing group in addition to the other groups mentioned. 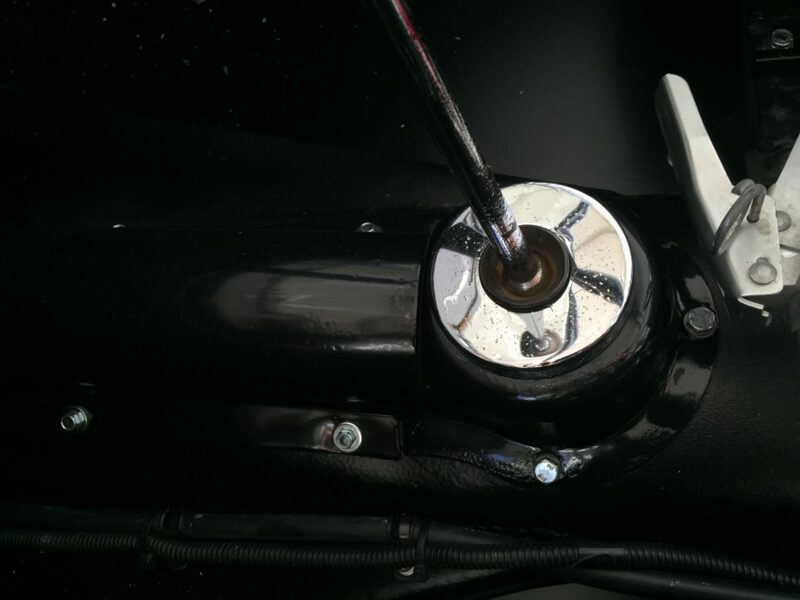 Under the skin is where the real magic happens though. 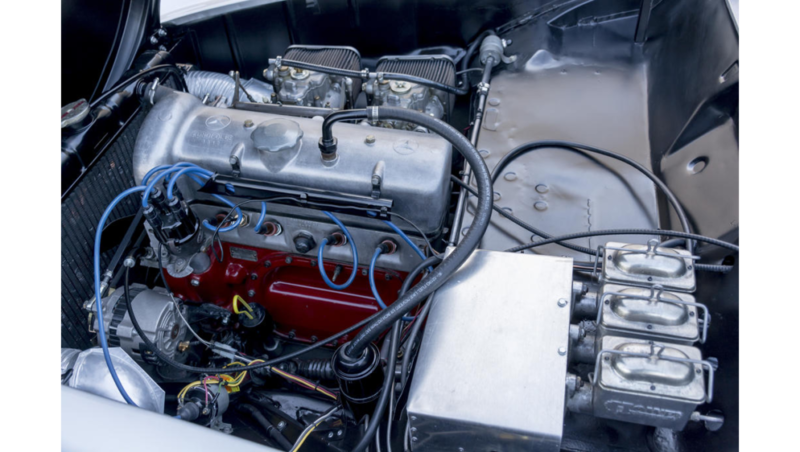 Up front the engine was rebuilt by Sport Leicht Restorations in Pinehurst, North Carolina with an oversized racing cam and dual Webers in place of the old Solexes. 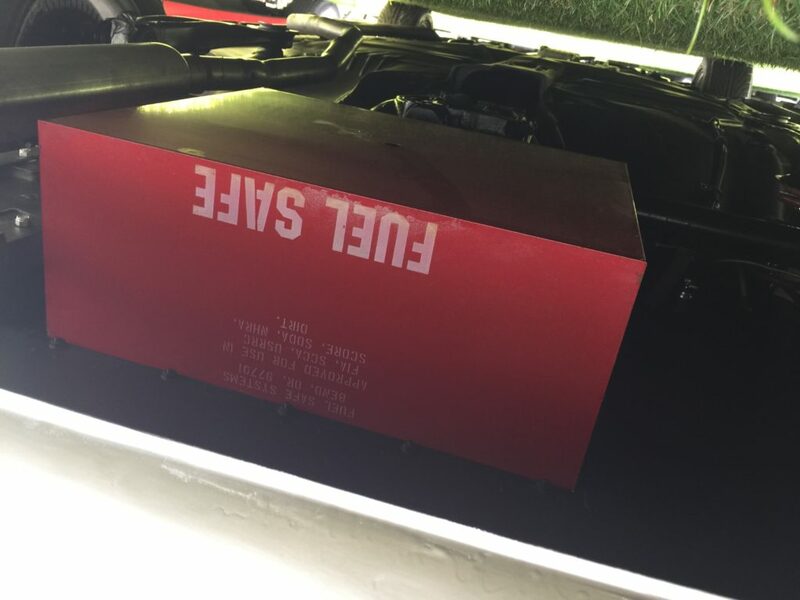 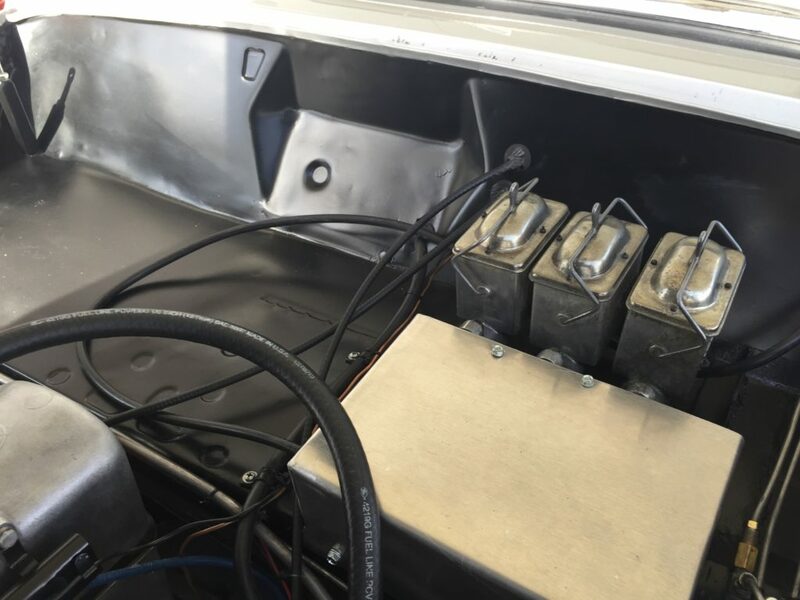 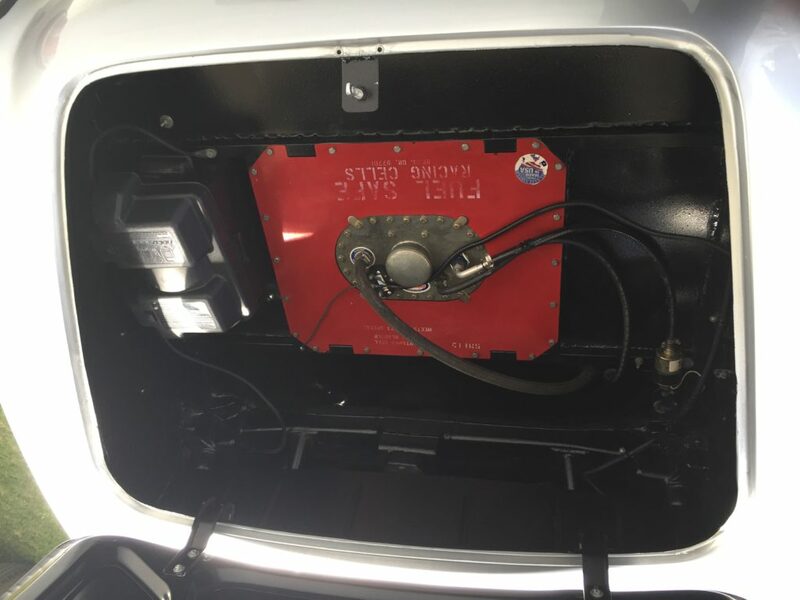 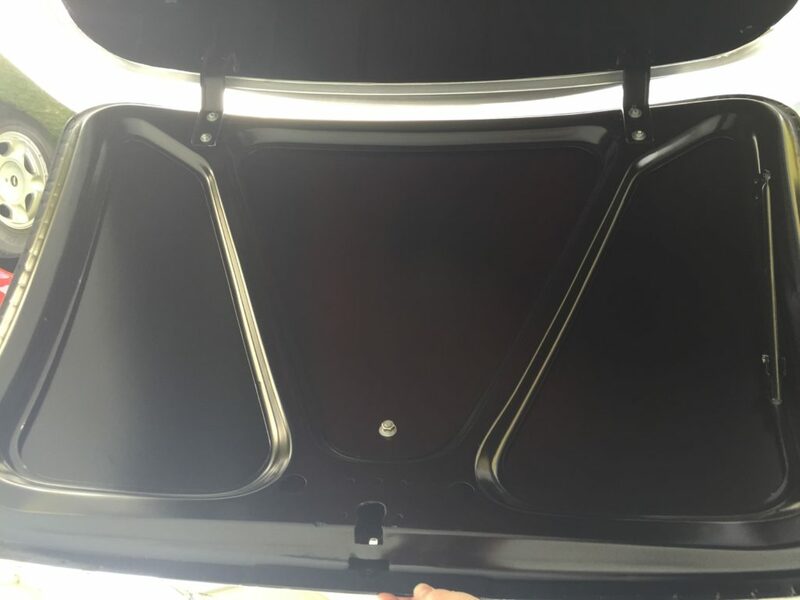 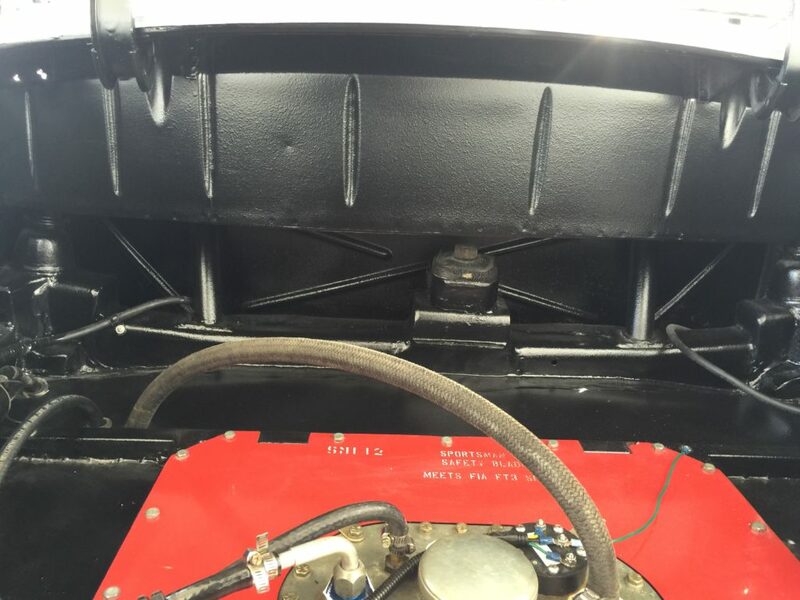 A Racing Fuel brand fuel cell has been fitted in the trunk. 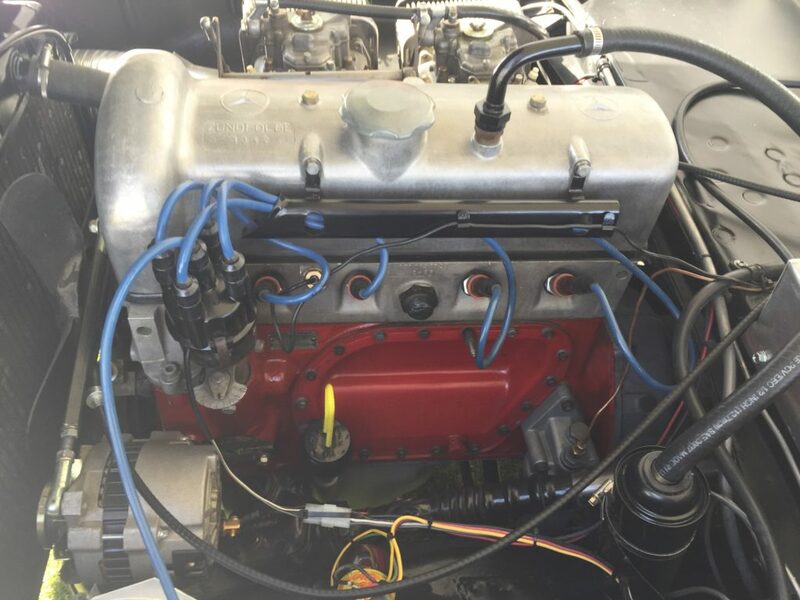 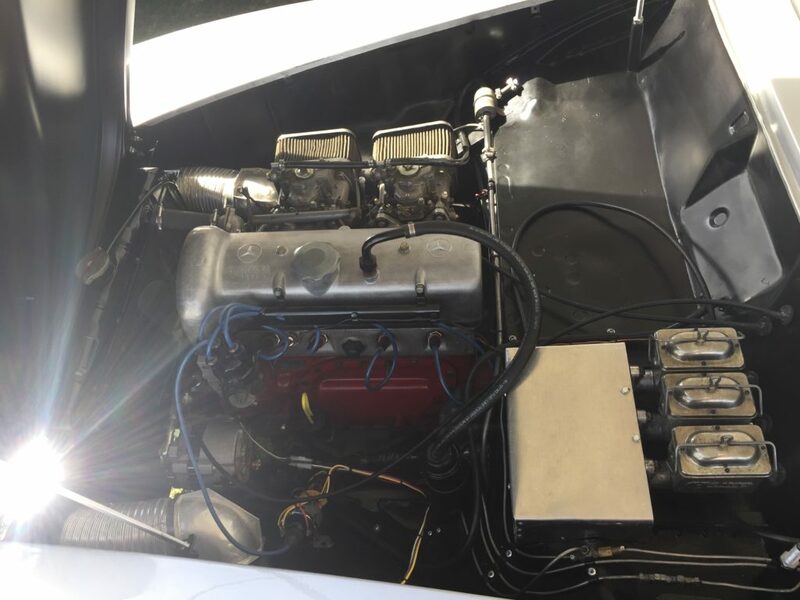 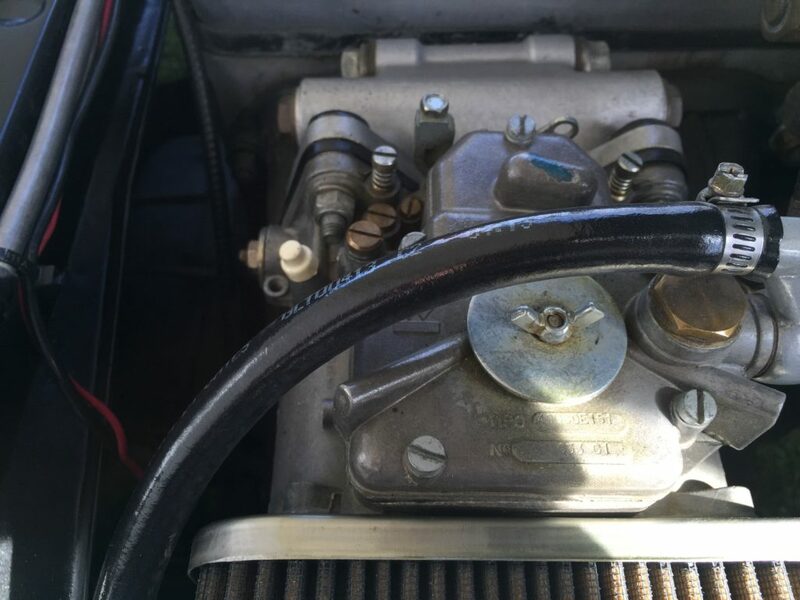 The original generator was replaced with a heavy duty GM alternator, the fuel pump was replaced with a P74019 Carter model, a new fuel filter was installed, and a new water pump was fitted. 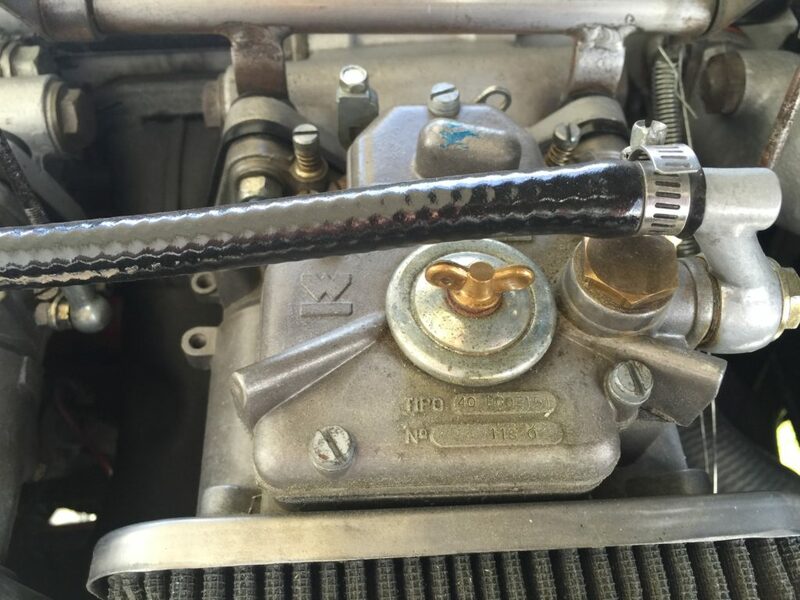 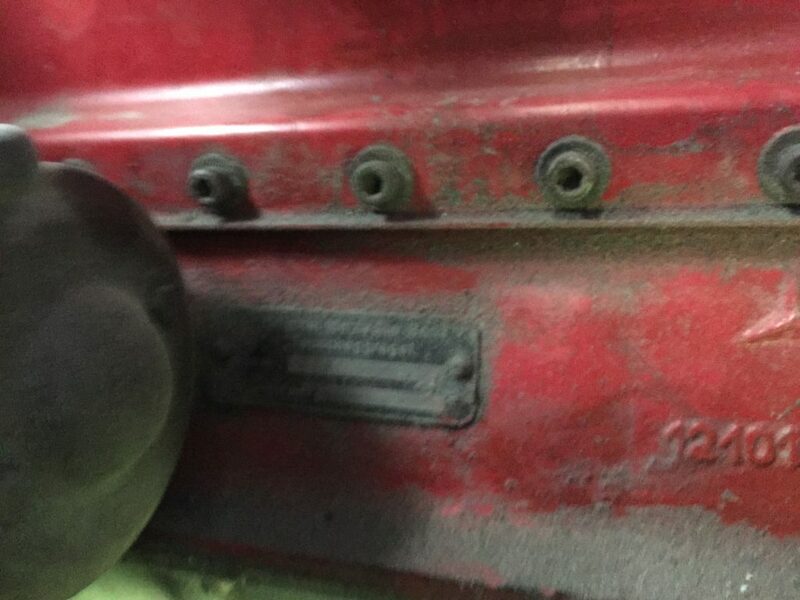 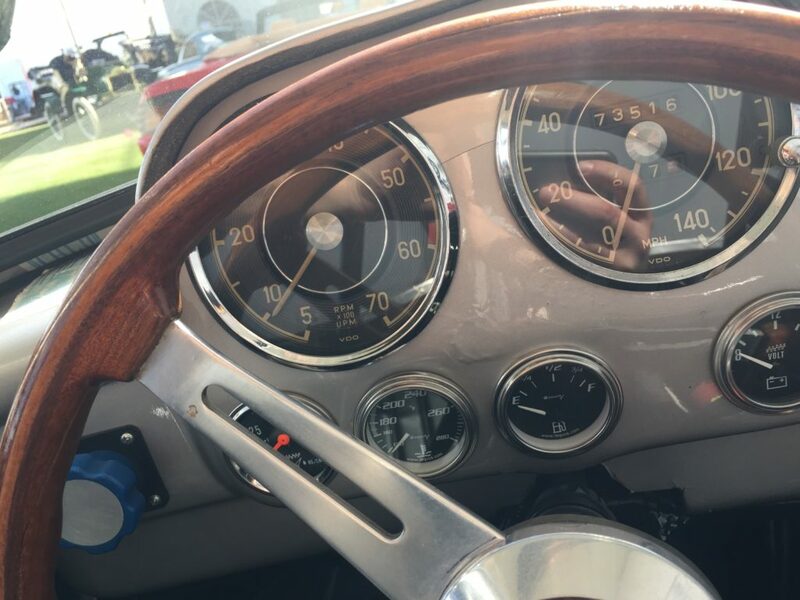 To handle the increased power, handling was improved with front spindles, kingpins, disc brakes and wheel bearing from a 1970 280SE 4.5, high performance Hawk brake pads, fore Landrum coil springs, aft Eibach coil springs, and Carrera shocks at all four corners. 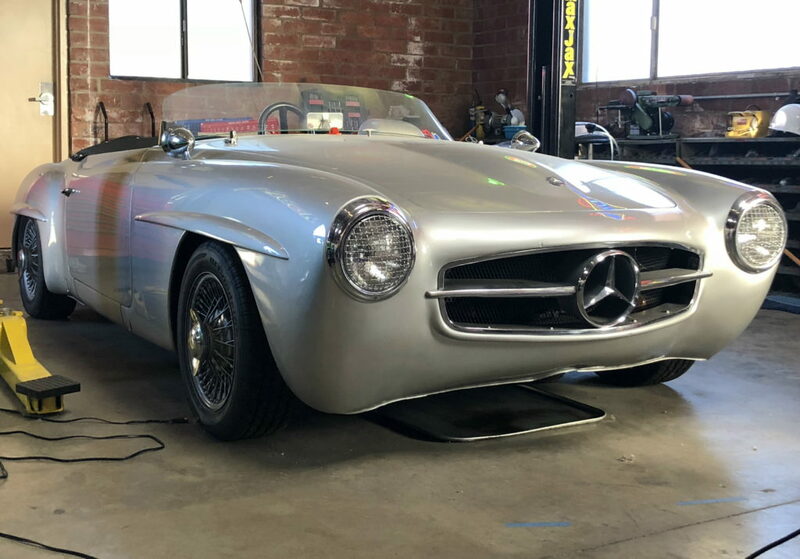 The alloy Mercedes-Benz wheels are shroud in Yokohama AVS ES100 performance tires to take advantage of all the enhancements on this 190SL to their fullest degree. 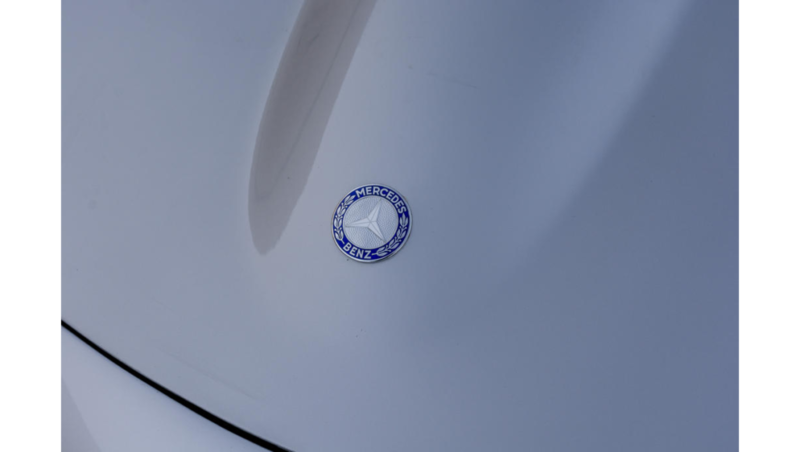 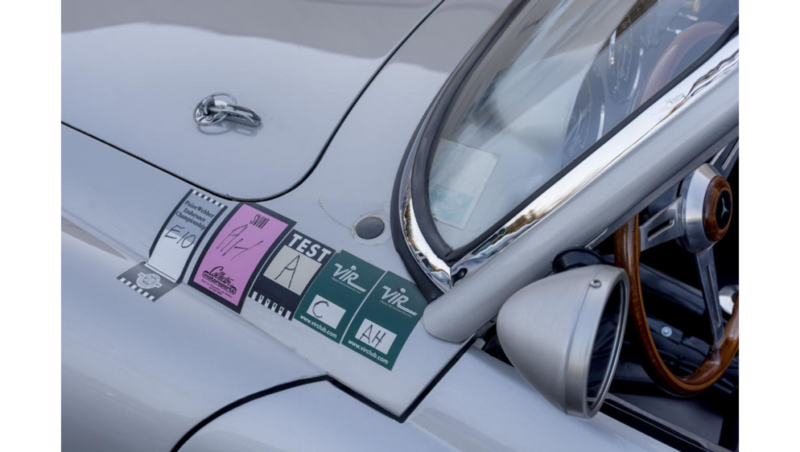 Tried and true with the tech stickers to prove it, this 190SL will blaze down the track at 115mph as easily as it will score looks driving on the street.